Guwahati: Former Assam chief minister Tarun Gogoi on Tuesday said the Congress will start working on a broader alliance of all secular forces in the state as a divided Opposition will not be able to stop the BJP's victory march. The Congress leader also said that he was open to the idea of having an alliance with the Asom Gana Parishad (AGP), the BJP's ruling ally. "The Opposition is divided and that is why BJP and Narendra Modi is winning elections. This is the time we must unite," he said. "I have told Sonia Gandhi also about this. 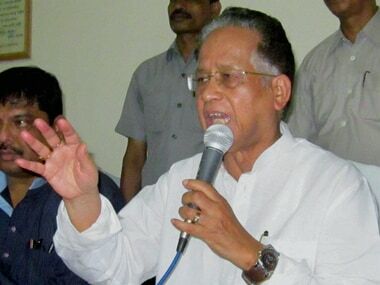 We have to compromise here and there on smaller issues for the alliance to stop the communal forces," Gogoi told PTI. 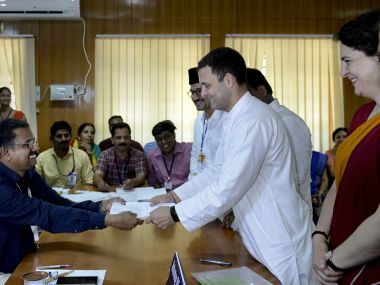 Appreciating the Congress president's move to unite the Opposition, he said the alliance must be based on the basic principles of secularism, democratic values, tolerant practices and liberal policies of like-minded parties across India to resist the communal forces. "Narendra Modi is running a one-man show. Federalism is at stake. You can fool a person only sometime, not always," Gogoi said. 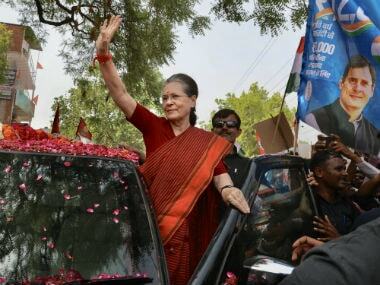 The veteran Congress politician expressed optimism that circumstances will lead to an united Opposition in the future. Citing the case of Emergency, Gogoi said, "You can take the example of Emergency. Indira Gandhi was a very powerful leader, but the entire opposition across the country got united against her. "Even CPI(M) and BJP supported VP Singh government at the Centre (in 1989)," he said. On the Sonowal government in Assam, he said, "it is just one year of the BJP government in the state and people are still expecting from them. But time is slowly changing. 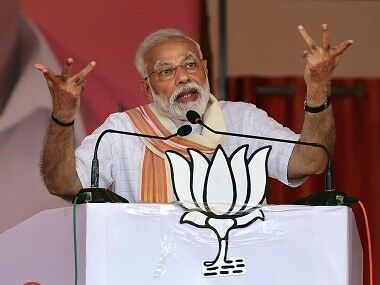 "We have to give BJP some more time, say one more year. So, we will start working on a secular alliance after six months from now when people will gradually get frustrated with the government. Once the national secular alliance is formed, it will be easier here," he said. Stating that he wanted to see a united Opposition force in Assam, Gogoi identified parties like the CPI, the CPI(M), the AGP and peasant leader Akhil Gogoi's group as like-minded options for a secular alliance. "However, we will not go with AIUDF. They are also communal. If we form an alliance with them, it will again be a compromise on basic principle. I am only for secular forces," he added. Asked about the Asom Gana Parishad (AGP), an ally of the ruling BJP, Gogoi said the regional party is confused and they are riding on two boats at the same time. "You (AGP) are a part of a communal alliance. On the other hand, you oppose BJP's communal politics regarding Bangladeshi immigrant issue. What is this?" he asked. Gogoi hoped that the AGP will soon realise that their inherent politics is based on secularism and will come out of the alliance. "I am hopeful. I am also open to an alliance with AGP. It is basically a secular party. I am for uniting all secular and democratic forces in Assam," he added. Asked about the chances of this proposed secular alliance in Assam, Gogoi said Congress and secular forces will soon make a come back as people of the state are basically not fundamentalist in nature. "Assamese people know how to fight back. BJP's popularity is already going down and we have seen it from the outcome of by-election of Dhemaji constituency recently where its victory margin was reduced.